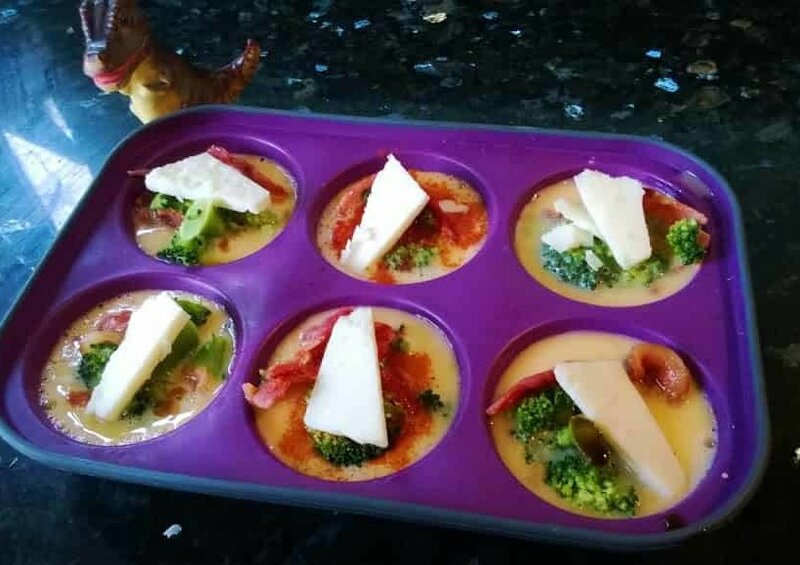 My friend John asking me to make a low carb breakfast option these muffins and seriously good!! Bake them the night before and BOOM!! 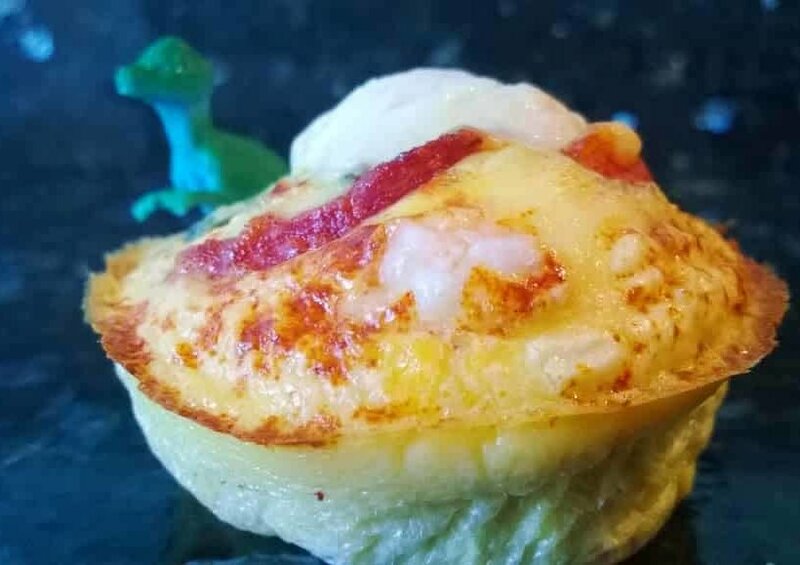 Next morning as you’re dashing out the door you’re no longer reaching for a crappy cereal bar, gluten laden bagel or just a piece of fruit, you’re going out with a couple of EPIC muffins that are going to power you through the day!! Why? Because fat creates satiety, which is the feeling of being satisfied after eating. When we don’t eat enough fat, we crave carbs and sugar because we don’t feel satisfied. And ironically, eating carbs and sugar cause hormonal changes that stimulate more cravings for carbs and sugar. It’s a vicious cycle. So if you want to reduce your cravings for sugar, eat more fat! Saturated, animal fats of course. So let’s get makin’ & bakin’ already!! 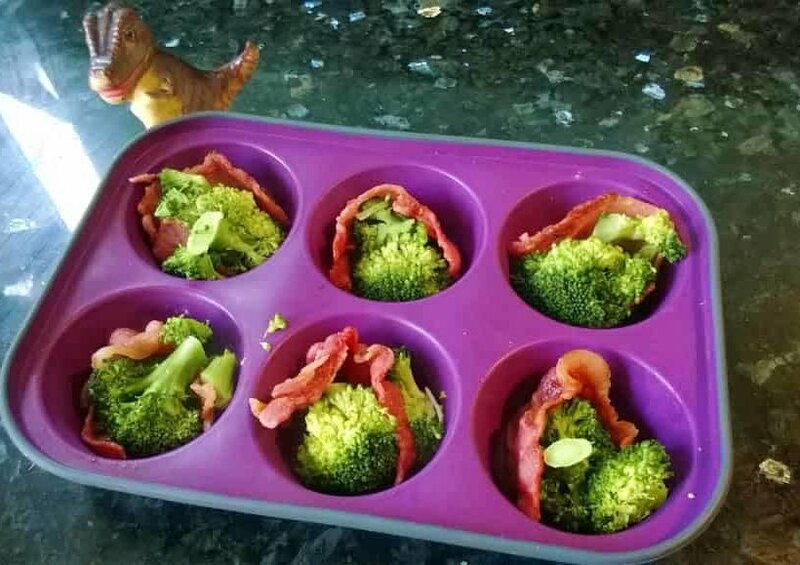 PLACE in a circle in your muffin tray though making sure your miniature dinosaur doesn’t eat it. CORRRRR!! Smell that those gorgeous smoky aromas spreading throughout your kitchen literally have you floating by your nose over to the oven!! BOOM you open the oven door to reveal just BLISS!! 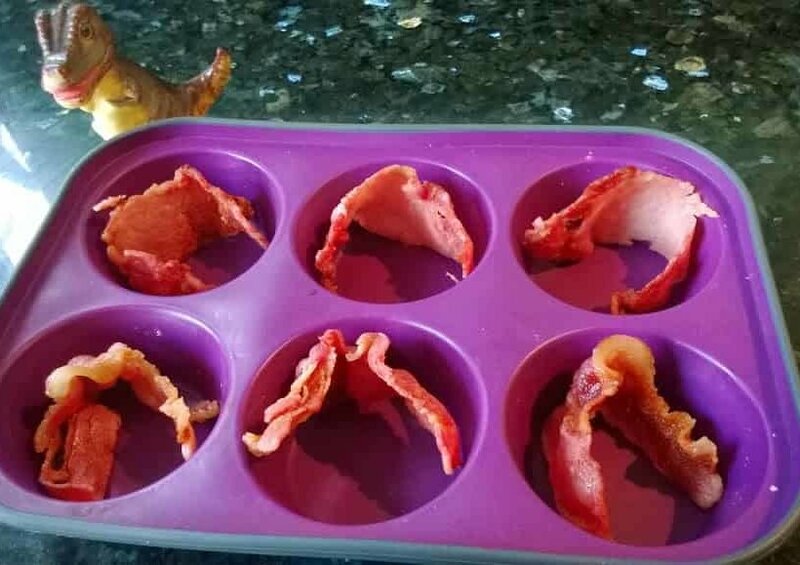 Pop them out of the muffin tray and…. oh ones in my mouth already.. HA!! 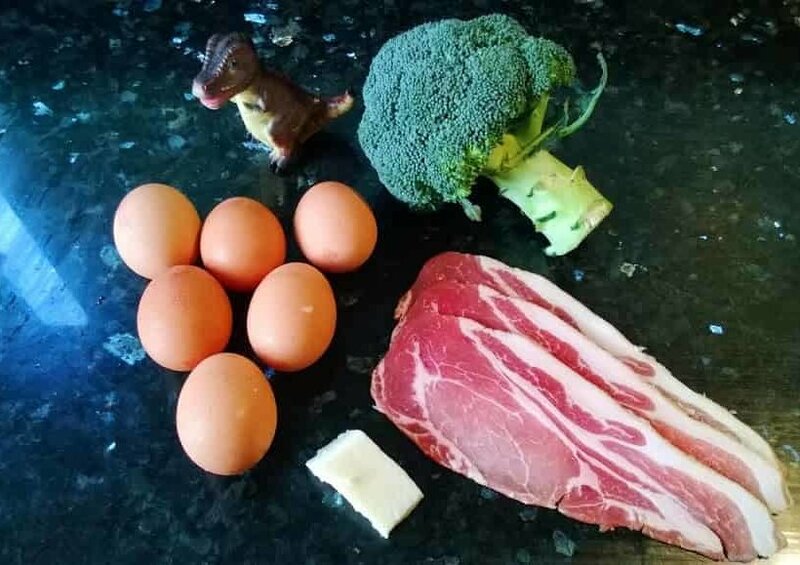 Just perfect the bacon and egg provides that great breakfast combo and topped with the creaminess of the cheese and slight crunch of the broccoli makes this just AHHHHH! !